I am Dave The Pedal Car Guy, as seen on the ABC Collectors edition Episode 4 March 2008. Throughout my web site you will experience a lot of fond memories. 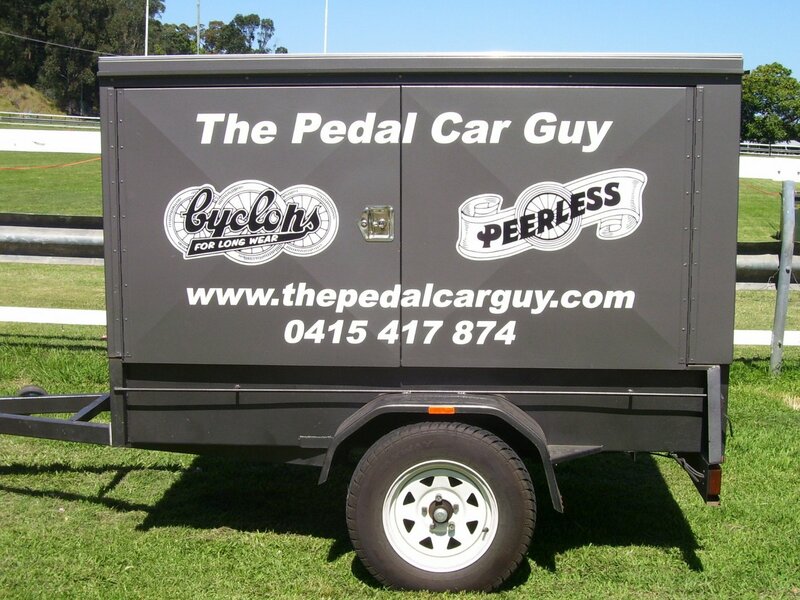 As you guessed the web site is based mostly on pedal cars, mainly Australian pedal cars, manufactures such as Cyclops, Triang, Peerless, Hi-Speed, Wizard, etc. I have tried to cover as many pedal cars and toys as possible you will see original catalogue references, memorabilia and some actual photos of pedal cars and their owners enjoying them. So take a tour and you just might see the pedal car that either you, your parents or even grand parents had or even may still have. I would like to take a moment to thank the various organisations for their contributions of photos and catalogues and people that have shared their memories. If I can help with any parts you may need to restore your pedal car please contact me, or if you would like to sell a pedal car I just may be interested contact me. Please enjoy and thank you for looking. I have a range of pedal car parts new and used. I also have pedal cars for sale they are original pedal cars not reproductions. Are you restoring a pedal car? Check out my range of new parts if it's not listed that doesn't mean I don't have it send me an email. Please enjoy and thank you for looking.